I would like to take this opportunity to welcome you to the Graduate School of Science and Engineering at Saitama University (GSSE). It is my great pleasure to extend a personal greeting on behalf of our faculty, staff and students, and to invite you to explore our School and to take the opportunities we offer in graduate education and research. Our major mission is to conduct rigorous research and educate talented students who are deeply passionate for and highly dedicated to science and engineering and would like to make great contributions to the advancement of humanity with science and high engineering technology. GSSE offers a number of high quality master and doctor programs in an inclusive and friendly environment. It provides selected students with the best education, research, and living facilities. There are six major courses in Doctoral Program: 1) Life Science, 2) Material Science, 3) Mathematics, Electronics and Information, 4) Mechanical Engineering and Science, 5) Environmental Science and Infrastructure Engineering, 6) Joint Frontier Studies; and thirteen courses in Master’s Program. Detailed information about our programs, application procedure and about students’ life in the campus you can find in this web site. Whether you are a prospective graduate student, a current student, or interested visitor, I hope our web site helps you to find answers to your questions. Moreover, all of our professional and administrative staff would be happy to assist you in becoming leading scientists and engineers. 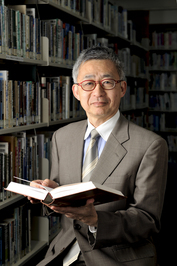 Kenichiro Horio, Dr. of Eng.